Giant-Size Geek: Batman meets Elecktra by Frank Miller! Batman meets Elecktra by Frank Miller! How about this for a nifty forgotten cover? 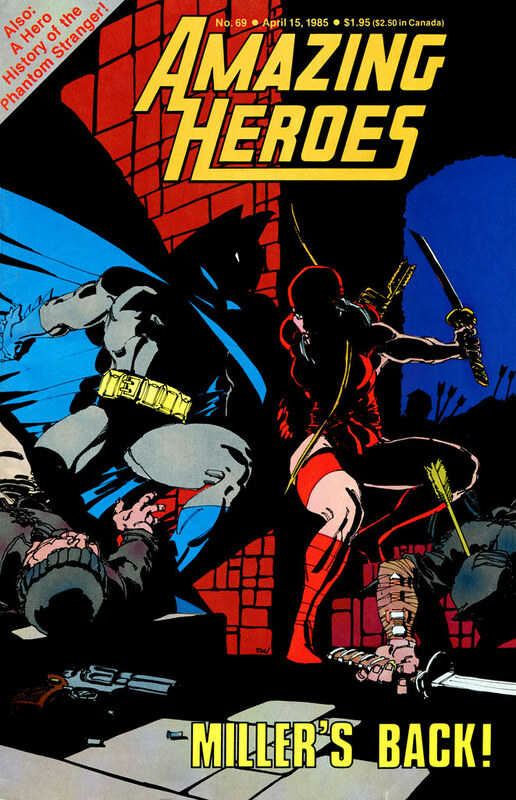 Amazing Heroes 69 from 1985 featured two great characters meeting on a dark and gritty night: Batman and Elecktra! This issue's main article featured two of Miller's highly anticipated projects: the world shattering Dark Knight prestige format series from DC and the graphic novel Elecktra Lives Again from Marvel. 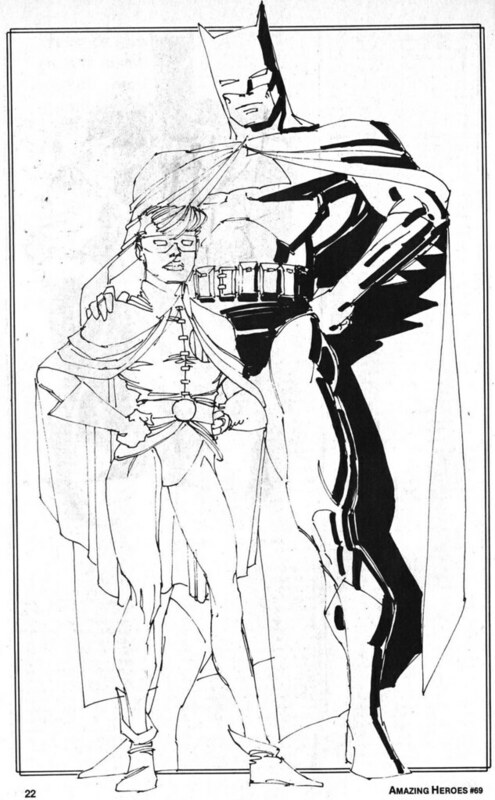 The article gave us some preview sketches on Miller's take on the Dark Knight, along with the new Robin, Carrie Kelly. 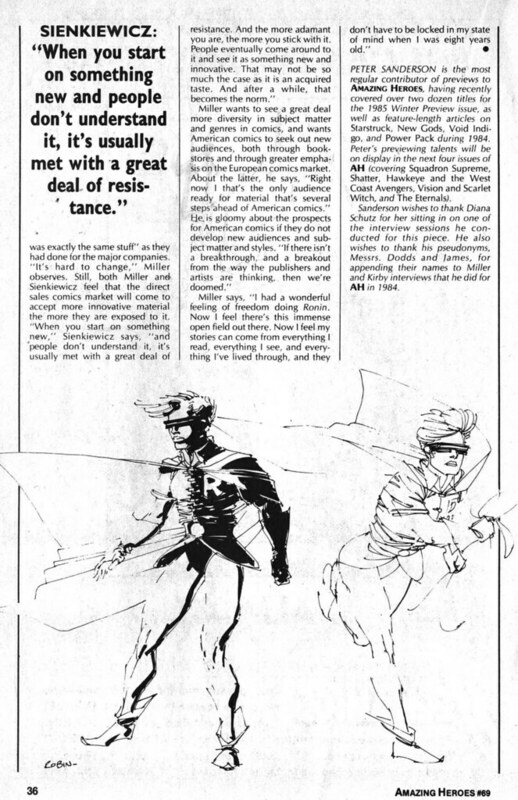 I've always found these Miller sketches were influenced by the late great Carmine Infantino. Particularly this page featuring Robin running, that seems very much like an Infantino pose. The previous sketch featuring the two of them together reminds me of an Infantino pinup featuring the 1960s Batman. Nuff Said!